Most drivers will pay more VED in 2009 | What Car? More than half of all car owners will pay more VED road tax from April next year, according to figures released by the Treasury. There are 26.6 million car owners in the UK, and 13.6 million 52.1% - will pay tax increases. 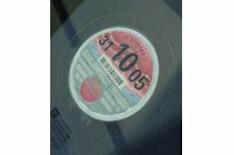 Owners of cars registered after March 1, 2001 will see their cars fall into one of 13 new VED bands - there are currently seven - with rates varying between 0 and 440 depending on CO2 emissions. Some drivers who currently pay no more than 210 could see their bills rise to 440. Drivers of pre-2001 registered cars will be worst hit: there are nine million owners of such vehicles, with 5.6m set to pay more. Of the 17.6m cars registered after 2001, 13.6m drivers will pay more, nine million will pay less and 3.9m will pay the same.